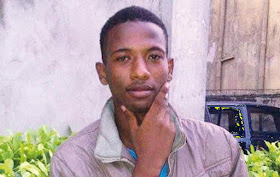 One of the suspects arrested by operatives of the Zonal Intervention Squad (ZIS), Obada, Abeokuta, Ogun State, in a case of alleged theft of company goods, has narrated how his co-suspect, Jubril Mohammed, was tortured to death by police operatives. Muhammed claimed that the policemen tortured the 20-year-old till he collapsed, adding that he was taken to a hospital where he died. Jubril was among 8 suspects transferred from Ibafo Police Station to the ZIS. The Borno State indigene was allegedly beaten to death by detectives investigating the alleged theft few days after he was bought to the ZIS, The Punch reports. The unit commander broke the news of his death to the family on Monday. The Zone 2 Police Public Relations Officer, CSP Dolapo Badmos, however, said the victim was sick before he died. She said, “It’s a case of people suspected to have stolen their company’s goods estimated at N10m. About five of them were arrested. The suspect in question made a voluntary confessional statement to the police and even led operatives to the receiver of the stolen goods, which were recovered. “While investigation was ongoing, he complained of stomach ache. His father also attested to the fact that he had ulcer. He brought the medication to be used, but the police said they could not administer it. But Muhammed said the victim died from injuries he sustained from the torture. He said, “Seven of us were initially arrested before one other person was added to us. Jubril was tortured to the point that he could not even walk. We were the ones carrying him out after every round of torture.